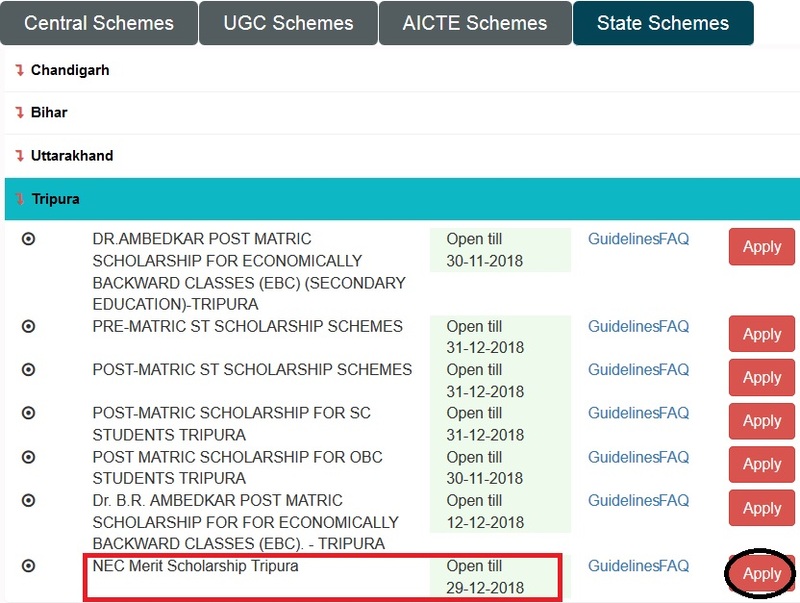 Online NEC Scholarships disbursements is one of the important welfare measures of the Government of Tripura which is aimed at the educational upliftment of students Below poverty line(BPL), initiated by the Department of NEC. 1. The stipends and book grants are open only to a candidate who is a permanent resident of any of the States in the North East. 2. The certificate to this effect obtained from the Deputy Commissioner of the district in which the candidate is a permanent resident must be produced by the candidate. 4. The candidate should possess the relevant qualification from any recognized institution. 5. The student must not be in receipt of any other financial assistance from any other source, except National or State Merit Scholarship. 6. The maximum marks for the grant of stipend should be 75% for General /OBC/MOBC and 60% for SC/ST candidates in the relevant qualifying examination for Diploma, Degree and Post-Graduate courses. Just follow the below steps to apply for the NEC Merit Scholarship Tripura 2018-19. 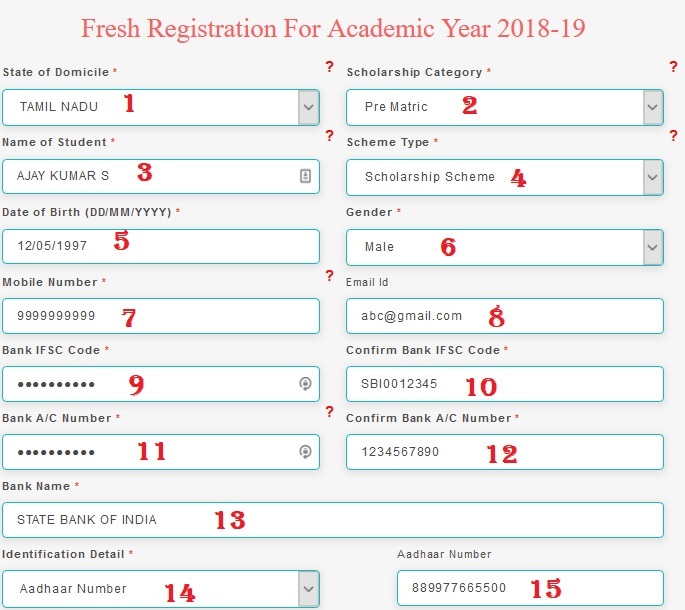 Step 2 : Then Select State Schemes tab and Click on Tripura in the drop down list. Note : Application complete in all respects, shall be submitted to the Head of the Institution/School. (e) Mark sheet of qualifying examination. Last date to complete the online application for NEC Merit Scholarship Tripura is extended till 31st January 2019.